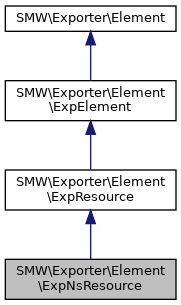 A single resource (individual) for export, defined by a URI for which there also is a namespace abbreviation. Get the local name (the part after :). Get the namespace URI that is used in the abbreviation. Get the namespace identifier used (the part before :). Return a qualified name for the element. Check if the local name is qualifies as a local name in XML and Turtle. The function returns true if this is surely the case, and false if it may not be the case. However, we do not check the whole range of allowed Unicode entities for performance reasons.